If you’re into list building… but would like things a little easier… We’ve some Good News! The sad truth is… the majority of online marketers that fail, (and over 90% do), is because they just didn’t ‘get’ how important list building and developing a relationship with their subscribers actually is… But you’re smart and already know that guys who land on the top of the pile are the ones prepared to devote a big chunk of resources into getting people to join their email lists. “Lead Magnets” are the answer! “Lead Magnets” are free products or low-cost information product (ebook, checklist, template, piece of software, video, etc.) that you offer as “ethical bribes” or incentives to encourage and persuade people to give you their email address and possibly other information in exchange for that product. It’s that simple. You can also offer them to existing subscribers to boost engagement or better segment an established list. However you use them, good lead magnets generate sales and put money in your pocket. The problem is that most website owners take way too long to create lead magnets… They simply hate the process of creating them or they create incentives and freebies that flat-out don’t work. Creating an expertly researched, professionally written ‘lead magnet’ is not easy. Along with your research and writing team, you’ll also need to hire a designer to create eye catching cover graphics and a copywriter to craft the copy on your squeeze pages. You don’t have to create lead magnet yourself, we’ve already created it for you! That means instead of investing thousands of dollars and months of hard work doing it all yourself, you can join the membership and simply start building your list today! 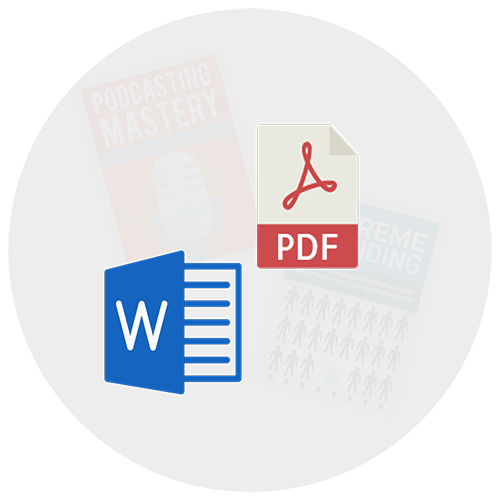 Every month you’ll be able to download TWO BRAND NEW EXCLUSIVE fully editable, professionally written list building reports in Word Docx format along with a ready to go PDF version (these reports would cost them at least $100-$200 each to outsource so great value). These are 100% original creations just for our members to use and profit from. We make sure to give you reports you can use that will wow your email subscribers and make you look like a BOSS in the process. You cannot find these available elsewhere. Each lead magnet kit comes with 7 Copy/Paste follow up emails ready to be added to the autoresponder of your choice and follow up with new subscribers. These are all ready to just copy and paste from notepad into your favorite autoresponder system. All you need to do is add you name, add your affiliate ID to the affiliate links, save as a PDF, upload everything and start sending traffic to your squeeze page! You will have complete access to ALL our private label rights lead magnet reports we’ve ever released since year ‘2010‘ when you become member. 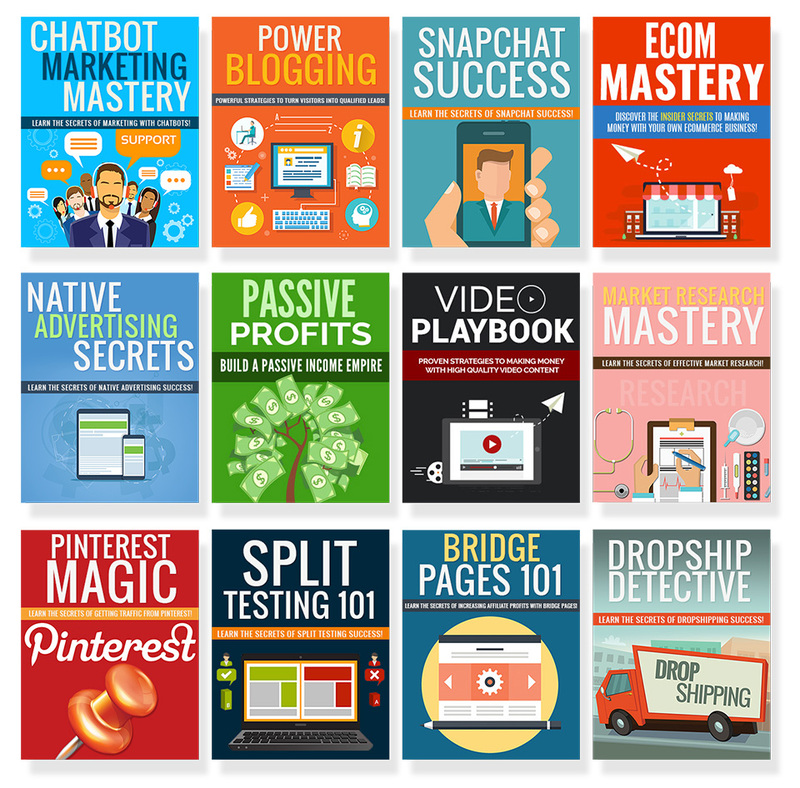 Just check out the sheer amount of PLR products you’ll get your hands on… Click here! What Can You Do With These Lead Magnet Packages? 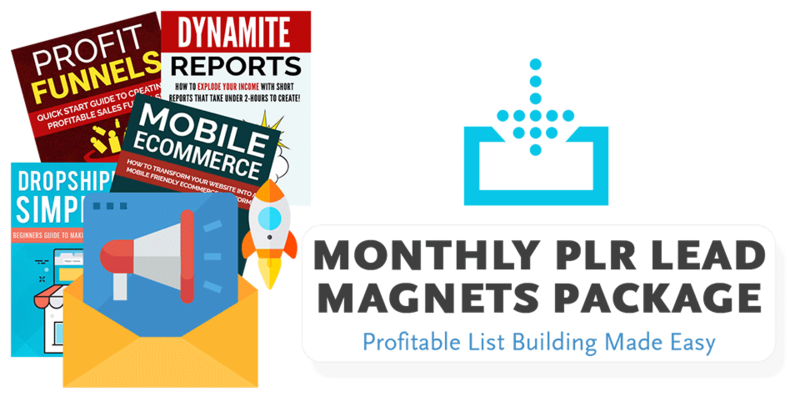 I am just gob-smacked with my new PLR Lead Magnets Membership with two complete marketing packages each month, as well as total access to all previous month’s downloads as well! All the packages are setup in such a way that it’s just so easy and simple to launch your next Marketing Campaign! Well done, you have created a real goldmine for us all… right here! I started building my business 2 weeks ago. I had bought many products, registered to many sites, downloaded truckloads of stuff. I had forgotten all the incredible products you guys build. I was searching elsewhere for THE ANSWERS to build my business and generate traffic. But all the answer are here with your products. Your products are among my first priority to use. In the past, when I needed support, you responded lighting fast. And I even noticed it would be easy to cancel anything if I wanted to. Why would I ever want to do that? Thanks a lot! 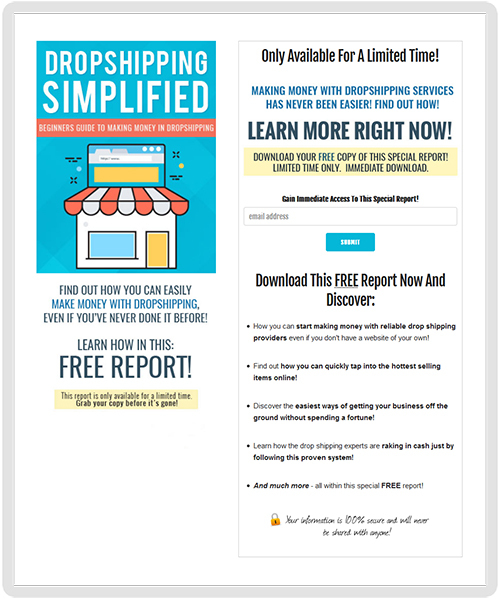 If you have been “spinning your wheels” trying to find the right people to give you the heads up on what to do to build profitable email subscriber list then your need look no more. They will teach you and offer you every service resource and support you will ever need. I’ve been a member for over a year now and I have downloaded, used many of these reports and have always found them to be of very high quality. Each of these package always contains everything that ‘ticks the boxes’ when you look for a good quality lead magnet reports. How Much Would This Cost You To Produce Yourself? At the current sale price for “All Access Pass” to this package, you can’t pass it up. You’ll never find a package like this or as complete as this anywhere else. Don’t Miss This INCREDIBLE Opportunity Because Every Smart Business Builder Needs A List! 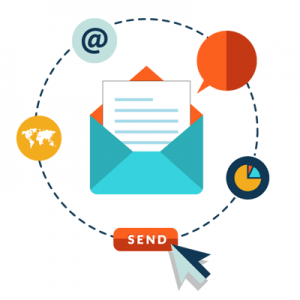 As a “Monthly PLR Lead Magnets Package” member, you’ll be among the elite in marketing who can effortlessly build targeted mailing lists that are BURSTING at the seams with hungry and loyal buyers. Act now and eliminate all the hard work and monthly costs of creating your own content! Some ‘Done For You’, copycat sites give their members rehashed or non exclusive content. Our reports are all 100% unique and exclusive to the membership so you can be always confident of great quality. We provide you with ready to use squeeze pages designed by the best in the business… Don’t waste time sending valuable traffic to pages that don’t convert – Ours do! You get flexible private label rights terms which means you have more ways to get the most from the reports. Sell them, give them away, use them as bonuses and much more – it’s your choice! Regular members pay as much as $47 per month for access to the site but through this special offer you won’t! You can grab a lifetime access plus full access to the back catalogue for just pennies on the dollar. Hey who likes spending hours and hours every month uncovering hot topics and finding quality products to promote – No one. Now you can eliminate the guesswork and let our research team do it all for you – It’s free and all part of the service. Some sites give you inferior reports and poor quality promo tools and stop there. Not here… In addition to your reports you also get full follow-up email series ready to just paste into your autoresponder. A true ‘all in one solution’ with no extra hassles! To do this yourself each month would take around 7-10 full days – And outsourcing (even at low rates) would cost over $1000 or more. So unless you are rolling in cash or have way too much time to spare, this membership is the only genuine solution! WHAT DO I GET INCLUDED? Every month you’ll get two new lead magnet kits that include all of the following: A 10-40 page exclusive (marketing / web business / social media related ) report, a ready made landing page and a professionally written 7 part autoresponder follow up series + Back Catalog Access With Ready To Go Packages. 208+ LEAD MAGNET PACKS READY TO START USING RIGHT NOW! WHAT CAN I DO WITH THE REPORTS? You can sell them or give them away (except for the raw docx formats… editable content PLR is exclusive to you) – So use them as incentives to build your list, to use a bonuses to boost your own product sales or to increase your sales & commissions on affiliate promotions..
CAN I SAY I WROTE THESE MYSELF? Yes! Through your membership you get full private label editorial rights so you can add yourself as the author, edit, add to, rename – whatever you need. ARE THESE REPORTS ORIGINAL CONTENT? Yes, all packages are created by our own in-house team, and they aren’t available anywhere else online. Some ‘done for you’, copycat sites give their members rehashed or non-exclusive material – not at Swabd.com, everything is 100% unique so you can be assured of great quality. As you can see, if you tried to do this all yourself you’re looking at days and even weeks of your time just getting one of these ready made packages together. If you outsourced this yourself you’d be looking at anywhere from a few hundred to a few thousand dollars of your hard earned money every month. We both know you have better things to do with your precious time and hard earned money right? For just a onetime payment you can let us do all the work for you so you can just focus on building your list and profiting more from them. But here’s the catch, we do plan on limiting membership to this service simply because we don’t want the marketplace to be flooded. We also want to provide the best service to you so by keeping a lower number of members we can focus on helping you grow your business better. After we reach a certain number of members this offer will be closed. You can also put your mind at ease by knowing that this is totally risk free for you. If for any reason you decide this is not for you then you can rest assured that we’ll refund all your investment back without hassle or any hard feelings. Take a full 30 days to try this system out. If at any time you feel things aren’t working out, just submit a ticket at our help desk and you’ll get 100% of your money back. And there’s even more great news… After completing your registration there’s no need for you to wait weeks for your product to arrive in the mail, you can download these packages in less than five minutes from now. We’re really looking forward to working with you and hearing about your success. And we’re confident that armed with these list building packages you will save yourself countless painful hours of doing it all yourself and or spending thousands of dollars outsourcing it all. IMPORTANT: You will receive email containing download links within few minutes after successful purchase. If you do not receive our email, please check inside ‘Junk/Spam’ folder. Q: Are these Lead Magnet PLR packages unique? Q: Can I giveaway the reports or sell them? A: Both! We encourage you to use them as incentives to build your subscriber list and promote your offers and affiliate offers through them (set up your provided squeeze page and offer them free to new subscribers). The only thing you cannot do is give people access to the source documents and files (these are for your own personal use). You Can Sell This Product at a Price Point Determined by You. You Can Give Away The Product (NOT The Source Code Files) To Your Subscribers, Members or Customers as a Bonus or Gift. You Can Modify the Product Anyway You See Fit To Add/Remove Content or Make It a Brand New Unique Product, Break It Up Into Articles, Email or Online Course Lessons. You Can Rebrand, Rename, Redesign The Product and Create New Graphics to Call It Your Own. You Cannot Give Away, Sell or Transfer the Editorial Rights to Any Third Party – Example: You Cannot Give Away The Word Document (ONLY PDF). You Cannot Sell Private Label Rights, Master Rights or Resell Rights to this Product on any form. Copyright © , Swabd – All rights reserved worldwide. ​All trademarks and logos are the property of their respective owners. This site and the products/services offered are not associated, affiliated or endorsed by any business listed on this site nor have they been reviewed tested or certified by any other company.